The central banks of Brazil, Russia, India, China and South Africa have signed an operating agreement on mutual support as part of the BRICS Contingent Reserve Arrangement (CRA). 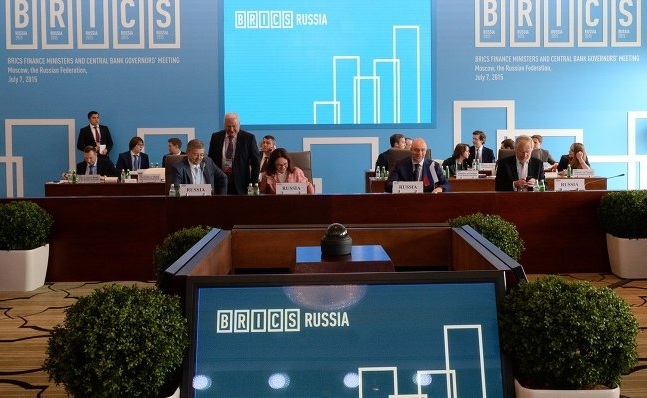 The document was signed after a meeting of BRICS finance ministers and central bank governors in Moscow, the Russian Central Bank press service reported. The agreement specifies the procedures to be followed by the central banks of BRICS countries as part of the CRA and defines their rights and obligations. The CRA is a framework for the central banks of the BRICS countries to provide mutual support (monetary funds in US dollars) in the event that national financial systems encounter dollar liquidity problems. Its purpose is to maintain financial stability in the BRICS countries. The total committed resources of the CRA are 100 billion US dollars, with individual commitments as follows: China – 41 billion; Brazil – 18 billion; Russia – 18 billion; India – 18 billion; South Africa – 5 billion. The CRA Treaty will come into force on 30 July, Head of the Russian Central Bank Elvira Nabiullina said, adding that several other documents will be adopted to regulate the operation of governing bodies – the Governing Council and the Standing Committee. Ms Nabiullina told reporters after the meeting that the mechanisms that are being created within the BRICS framework (the New Development Bank and the CRA) are conducive to long-term financial stabilization. BEIJING- The BRICS cooperation mechanism has been developing in terms of scope and depth, showcasing its strong vitality, a Russian expert said Tuesday. Georgy Toloraya, executive director of the Russian National Committee on BRICS Research, said in an exclusive interview with Xinhua that major advancements under the mechanism include the proposed New Development Bank, a security consultation mechanism, and communication on global financial management. “It is groundless for some Western countries to think that the BRICS mechanism is already obsolete,” he said. Coined by former Goldman Sachs chief economist Jim O’Neill in 2001 in a paper titled “Building Better Global Economic BRICs,” the term “BRIC” was originally an acronym referring to Brazil, Russia, India and China. 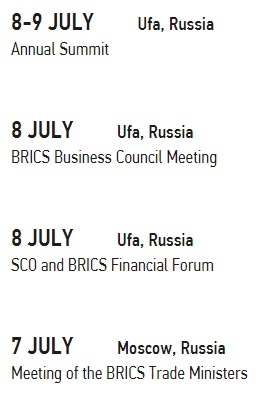 In June 2009, leaders from the four countries held their first official meeting in Yekaterinburg, Russia, during which they founded a cooperative mechanism known as BRIC. 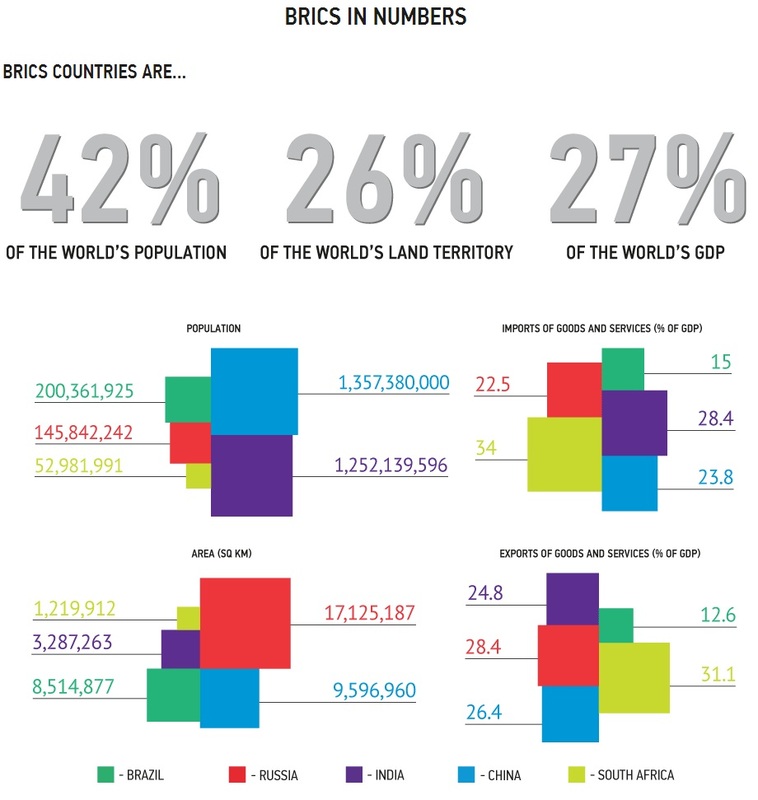 In 2010, South Africa was officially admitted as a new member of the group, and the acronym was changed to BRICS. The five countries have been expanding exchanges on both governmental and non-governmental levels, with all parties actively looking for common interests, according to Toloraya. Leaders of the five nations will meet in the Russian city of Ufa on Wednesday and Thursday to attend the seventh leaders’ meeting of the BRICS, which will include a series of meetings to exchange views on cooperation as well as regional and international issues of common concern. RUSSIA: The is second country, in the world, to develop nuclear weapons after the United States. First nuclear bomb explosion was on 29 August 1949. CHINA: First nuclear bomb explosion was on 16 October 1964. INDIA: First nuclear bomb explosion was on 18 May 1974. SOUTH AFRICA: South Africa produced nuclear weapons in the 1980s. South Africa is the only nation in the world who voluntarily dismantled all of its nuclear weapons. This was due to the end of white majority ruled Apartheid government and the majority-elected black African National Congress. See: When an African nation had nuclear weapons- What would Africa be like today with nuclear weapons?